Apple is expected to unveil three different iPhone models this year, including a successor to the iPhone XR. That’s according to a new report from the Wall Street Journal, which, citing unnamed sources, explains that the Cupertino company will reportedly launch a trio of new iPhones in 2019, despite its recent sales warning to investors and hints of production cuts for its 2018 models. Apple will include a high-end model in its line-up that features three cameras on its back in addition to a pair of less expensive alternatives, the newspaper said. 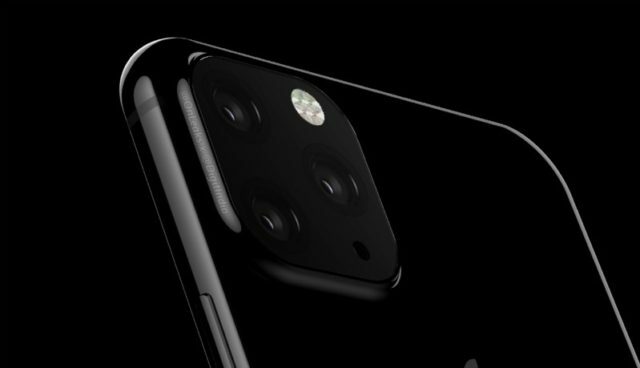 The top-of-the-range 2019 iPhone, which is expected to still be called “Max,” is likely to feature a triple-camera configuration, whereas the other two devices would stick with a dual-camera setup, explains the newspaper. This is a major upgrade now not only for the iPhone XS Max but also for the iPhone XR, the LCD model which comes with just a single camera. This means Apple will maintain its two-OLED, one-LCD model lineup for the 2019 iPhone as well, despite rumors that the company could give up on LCD for this year’s generation. However, the cited source indicates that Apple will actually ditch LCD versions of the iPhone next year, so in the long term, the company only wants to offer OLED iPhones. By then, the OLED supply-chain would have likely matured enough that Apple’s requirements will be fulfilled. Currently, Apple relies solely on Samsung for OLED panels as LG Display and other vendors are simply not able to produce quality OLED panels on a large-enough scale. Offering what sound like iterative updates in 2019 could prove to be a controversial decision on Apple’s part, explains the report. According to the newspaper’s sources, planning has progressed to a point where Apple could still make changes to the handsets, but not so easily. Instead, Apple might plan bigger updates for 2020. The report is light on other features of the 2019 iPhones. Apart from the camera and a faster processor, we are likely going to see Apple debut some AR features with the devices as well. In related news, we may have the first alleged look at what Apple’s next “iPhone XI” might entail, if reliable smartphone leaker @OnLeaks, known as Steve Hemmerstoffer, is to be believed.